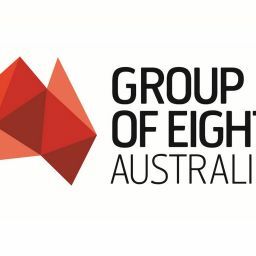 The Group of Eight, (Go8) Australia’s group of leading research intensive Universities, sees considerable value in the Coalition $31.2 million commitment to internships and post school career advice for female undergraduates interested in pursuing careers in STEM. “As the group of universities that receives 66% of all research funding from industry to universities (almost twice that of the rest of the sector combined) and with active internship programs both across our universities as well as with the French Government and the Australian Chamber of Commerce and Industry (ACCI), the Go8 recognises the immense value of internships,” says Vicki Thomson, Chief Executive of the Go8. “We are particularly interested that this announcement appears to mirror the highly successful Canadian internship model which the Go8 has been keen to see implemented for some years,” she said. The focus on internships for PhD researchers is particularly important and welcomed. “While Australia has 60 per cent more PhD graduates than Canada, there are only three researchers working in business for every 1000 workers when in Canada the ratio is seven researchers for every 1000. “We all know – government, universities and business – the value of internship programs and how they can be the foundation of closer collaboration between universities and business.